Cafés pop up all over Chicago, and sadly many of them come and go quickly. The best ones stick around for the long haul, and here’s a roundup of our favorites. 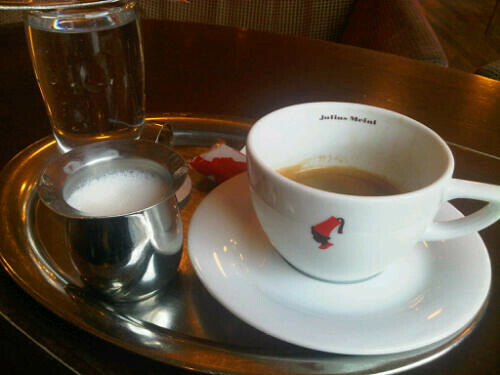 Julius Meinl has three locations on the north side—Lakeview, North Center, and Lincoln Square. All three are equally adorable and unquestionably pleasant. Designed by an Austrian team that specializes in coffeehouses, the warm, golden interior of Julius Meinl feels like Europe in the twenties. The Viennese café brews its own line of coffee and offers delicious Austrian cuisine. Go for any meal or even a snack, and your food will arrive on a small silver tray accompanied by a small almond biscuit. Choose from Viennese specialties like spaetzle, goulash, and frittaten soup, or try the sausage of the day accompanied by their famous baked eggs. Lighter options abound, such as quinoa salad with leeks and beets. You would be amiss not to at least taste a pear Danish or other delectable pastry while you’re there. Little Branch Café in the South Loop is for many locals an undiscovered gem. Close to several busy brunch spots, Little Branch is slightly off the beaten path, so you’ll avoid the weekend morning rush. A quaint spot that offers wonderful coffee and warm wine (must try! ), LBC serves up dishes like waffles and chicken, sweet potato fries with habanero raspberry ketchup in an environment both industrial and earthy. After breakfast/brunch hours, you’ll mostly have to choose between sandwiches. Milk and Honey Café in Wicker Park offers some of the best brunch-type food on a daily basis. Casserole-style huevos rancheros and orange brioche French toast with toasted almonds may outshine the sandwich menu, but do not overlook these delicious lunchtime offerings (i.e.—the ham and caraway havarti with lettuce, tomato, and cracked mustard on a pretzel roll). Since the homemade granola may not be your first choice while dining in, be sure to grab a bag of it to go on your way out! 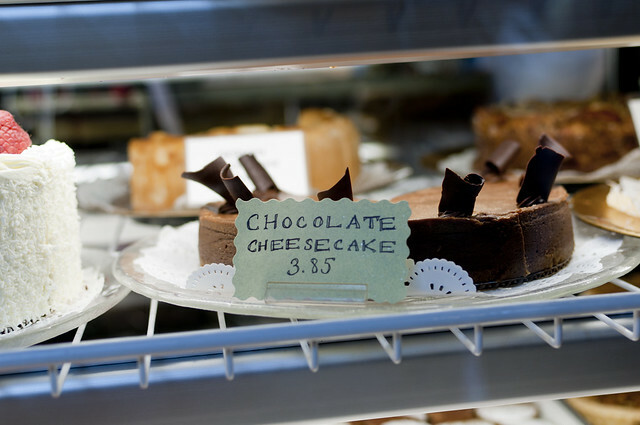 Café Selmarie in Lincoln Square is known for its incredible patisserie. Hazelnut Dacquoise and beehives (bienenstich) are accompanied by locally roasted Intelligentsia coffee. If you’re hankering for a meal, Selmarie offers breakfast, lunch, and dinner in their dining room full of natural light. Lunch is mostly sandwiches and soups, and dinner takes a turn toward the hearty with entrees like wild mushroom ravioli with Madeira sauce and steak au poivre. It’s a great place to catch up with old friends. Filter in Wicker Park is in its second incarnation smack in the middle of Chicago’s hipsterville. The funky interior is part of a LEED Silver build out that helps make this café eco-friendly. Incredible coffee, free wireless internet, and delicious baked goods are the most in demand, but there’s a plentiful selection of breakfast dishes, sandwiches, salads, flatbreads, and soups. Favorites include the Hipster Hash, diced hashbrowns with green peppers, onions, tomato, and cheese topped with three eggs and salsa with toast and the spicy chicken wrap with Lebanese schwarma, pesto, grilled veggies, cucumber, and tomato. Don’t forget to treat yourself to a lemon square for dessert.